With so many different providers hosting annual conferences this month, it seems like there’s a never-ending stream of announcements and news. 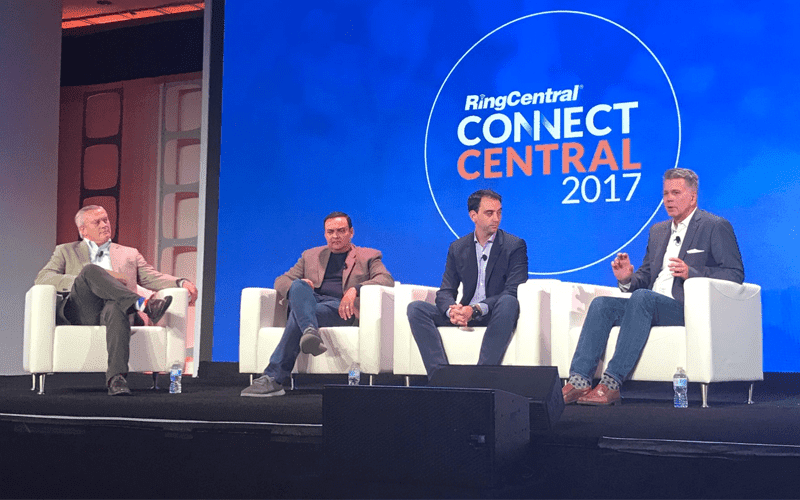 Most recently, RingCentral has made a list of announcements at their ConnectCentral 2017, and we’re excited to take a look at exactly how this leader in the market is going to expand their already strong portfolio. Right off the bat, RingCentral unveiled brand new capabilities for their platform, “aimed at empowering employees to better connect with their customers, partners and peers,” according to the official announcement. Now, that sounds pretty general, so we want to take a deeper dive into exactly what was announced, what this means for customers and partners, and look at exactly how RingCentral is broadening its horizons. And its always good to see a provider moving itself into new markets, like RingCentral’s announced expansion into Latin America as well as France. This alone is a strong indicator that the provider is in a good position, as they are able to expand coverage and support entirely new regions of the globe. This means a lot for existing customers, but even more for potential customers in these new regions now covered by RingCentral. However, I’m a little less excited about new region coverage, and a bit more curious to take a closer look at the other two announcements, particularly new bot and AI integrations, as Artificial Intelligence is always an incredibly interesting topic to take a look at. We could say that AI is still within the hype aspect, according to Gartner, but there’s a huge promise for the technology, and every day it seems as if there is a new use-case for AI. So, let’s take a closer look at these announcements one by one to break it all down. 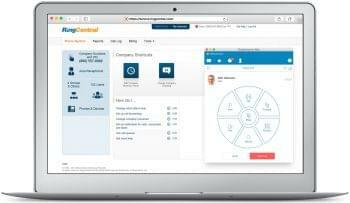 RingCentral recognizes just how crucial integrations are in today’s “multi-cloud applications environment.” No more is it enough for one app to do a job, and stand alone as a silo’d solution — cloud platforms and applications need to integrate and connect with each other, allowing us to get more done way faster than ever before. To help create what RingCentral is calling “intelligent business workflows,” they are expanding the RingCentral Connect Platform to include entirely new powerful AI, chatbots, and a number of integrations. It’s great to see RingCentral recognizing that many of its users will most likely already be invested into Gmail. 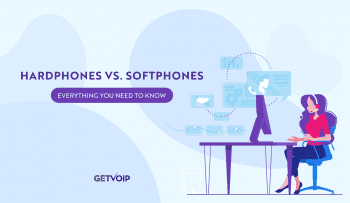 Instead of forcing them to use a separate account, or keep their email and RingCentral disconnected, they bridged the gap between the two solutions. It may seem like some small little features, but these connections can go a long way in simplifying our daily work. Instead of having to flip from window to window, hoping you grabbed the right number from that email address, everything can be done with the click of a button directly from the Gmail window. This one is a bit more interesting. I’ve taken a look at the Amazon Echo Show previously, and came to the conclusion that it could stand as a strong video conferencing tool, but without the right software behind it, it wouldn’t see much use. RingCentral isn’t limited to the Show, but instead can now work with all Alexa powered devices. I’m not the biggest fan of Alexa powered devices, but I do understand the power and capability behind them. It’s great to see that RingCentral does as well, leveraging the natural language processing of Alexa to enable users to simply use voice commands. What’s really cool is how simple this hands-free process will be, saving a lot of time and energy trying to dig through apps or find your phone to make a call — just ask Alexa to do it for you. I don’t think there are any other providers that allow this kind of connection with Alexa devices yet. This one is interesting to me as I’ve always considered Slack and Glip to be competitors. RingCentral also offers Glip on many, if not all, of its service plans so I don’t see too much reason for RingCentral users to be relying on Slack. Nonetheless, its great to see RingCentral recognize that there are still Slack users within their customer base out there, and are willing to build their platform around what customers are actually using. It shows that RingCentral is willing to deliver what the customers and clients are looking for. 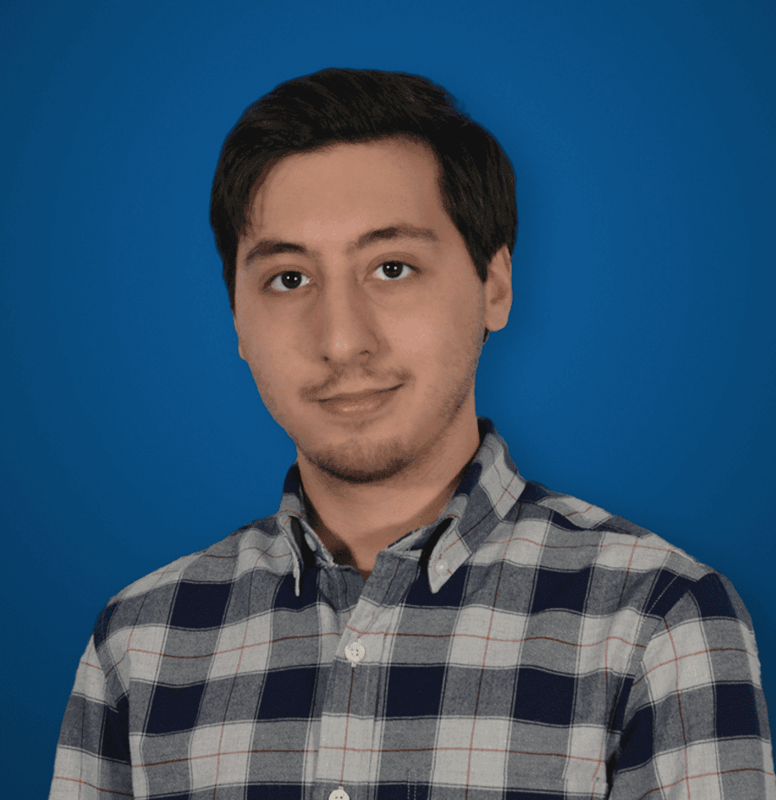 Salesforce Alert Bot: This useful Salesforce bot will “capture Salesforce events and send notifications to Glip teams.” The idea is to provide managers with quick and immediate updates on opportunities, without having to open up Salesforce, wasting time. RingCentral expects this bot to be available in early 2018. And last but not least, RingCentral had also announced a new real-time analytics capability to “empower administrators to gain deeper insight into the end-user experience, and achieve faster time to resolution.” Essentially, managers can monitor and view, in real-time, different quality of service metrics to better understand any hiccups in quality or the customer experience, and enact on that data as soon as possible. Pinpoint problematic calls to accurately identify patterns, degradation at the country, regional and local levels for every leg of every call. This is based on transport information, such as jitter, latency and the dreaded packet loss. Overall, RingCentral is providing teams and managers with the ability to monitor the quality of both their customer experience, and also specifically the calls they are holding, in real-time — this is the real power of call analytics at work. With this deep insight, users can identify any possible issues, and address them before they escalate into major interruptions in service. RingCentral also announced that this capability is immediately available to all RingCentral Office customers. 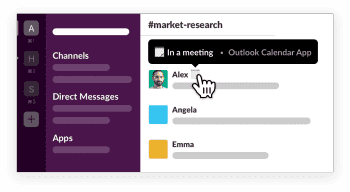 I was always a big fan of Glip, I enjoyed how it brought a lot more to the table than Slack. It seems like RingCentral is still dedicated to the platform, and the new addition of integrations and bots helps round it out even further. It’s also great to see the provider add in integrations for other popular tools already being used, like their recent Gmail addition, as well as a Salesforce bot. Clearly RingCentral is dedicated to expanding their platform, especially with new service regions around the globe, and even the ability to measure quality of service, around the globe, in real-time. 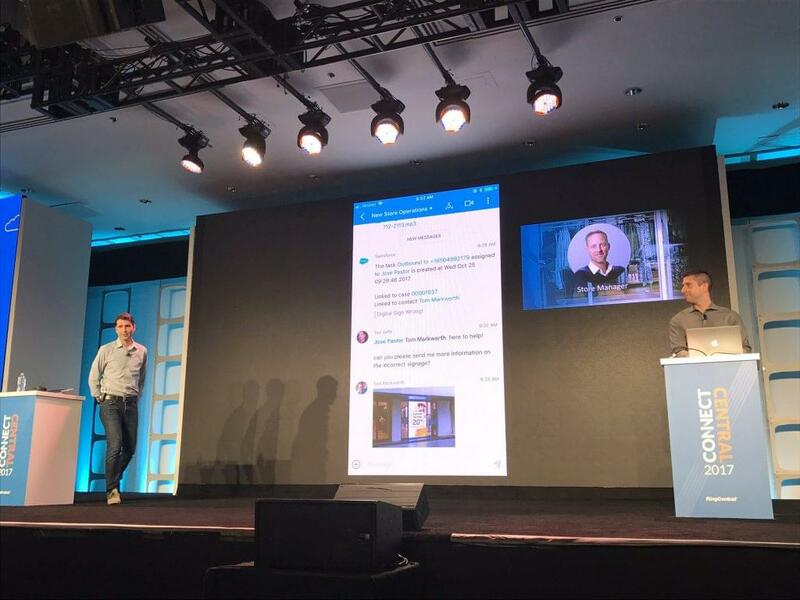 This is all really big stuff, and I’ll be very curious to watch overtime how the platform continues to grow. It seems like RingCentral will be able to hold onto their Leadership position in the market for some time if they keep rolling out updates like these.